Without a doubt, we’re all excited for the new season to start. A lot has changed between the Super Bowl and today, and there’s still more to come which is why I am making this Part One. These are my highlights of what the 2015 schedule will include, the changes we have seen so far, and my general thoughts – enjoy! The 2015 season will kick off on Thursday 10th September with the Super Bowl XLIX champion New England Patriots hosting a yet to be announced team (likely to be one of Patriots’ AFC East divisional rivals, the Jaguars, Titans, Steelers, Eagles or Redskins – Steelers are reported the favourite but game broadcasters are pushing for it to be Eagles. In October, three games will come to Wembley Stadium in London as part of the NFL International Series. On Sunday 4th October, New York Jets face Miami Dolphins. Three weeks later on the 25th October, we’ll see Buffalo Bills face Jacksonville Jaguars and just a week later, on November 1st, Detroit Lions face Kansas City Chiefs. Thanksgiving Football will take place on Thursday 26th November, Detroit Lions will host the earlier game, followed by Dallas Cowboys with the third game teams are yet to be determined. Super Bowl 50 will be held 7th February at the home of San Francisco 49ers, Levi’s Stadium in Santa Clara, California. We’ve seen some changes to the Head Coach at a number of teams. Atlanta Falcons fired Mike Smith and hired Seattle Seahawks defensive co-ordinator Dan Quinn. Doug Marrone retired from Buffalo Bills, who then hired Rex Ryan who was fired by New York Jets. In Rex Ryan’s place, New York Jets hired Todd Bowles who was the defensive co-ordinator at Atlanta Falcons. Chicago Bears fired Marc Trestman, hiring John Fox from Denver Broncos. Denver consequently hired Gary Kubiak who spent the past season as the offensive coordinator of the Baltimore Ravens. Oakland Raiders hired yet another new head coach in Jack Del Rio. Jim Harbaugh said goodbye to San Francisco 49ers who then promoted their defensive line coach Jim Tomsula in his place. There were also a couple of changes to front office staff – New York Jets fired John Idzik and hired Mike Maccagnan, and Chicago Bears fired Phil Emery and hired Ryan Pace. Maccagnan was the director of college scouting for the Houston Texans prior to his hiring and Pace was the director of player personnel with the Saints. We’ve seen a lot of new signing and trades within the teams during the free agency. Probably too many to mention here, however the key highlights are: The Green Bay Packers re-signed two of its own free agents: Randall Cobb and Bryan Bulaga. Cobb re-signed for $40 million for four years. Bulaga re-signed with a five-year, $33.75 million deal. Oakland Raiders signed former Kansas City center Rodney Hudson to a five-year, $44.5 million deal. It also picked up former Seattle linebacker Malcolm Smith with a two-year, $7 million contract. Indianapolis Colts beefed up their offense signing Andre Johnson to a three-year, $21 million deal, as well as 32-year-old running back Frank Gore with a three year, $12 million contract. Jeremy Maclin landed a five-year, $55 million contract with the Kansas City Chiefs with $22.5 million guaranteed. Ndamukong Suh landed a six-year, $114 million contract with the Miami Dolphins, while the New Orleans Saints traded Jimmy Graham off to the Seattle Seahawks. 49ers signed Reggie Bush to a one-year, $2.25 million deal. DeMarco Murray landed a five-year, $40 million deal with the Philadelphia Eagles. C.J. Spiller signed a four-year, $16 million contract with the New Orleans Saints, joining Mark Ingram who re-signed for a four-year, $16 million deal. 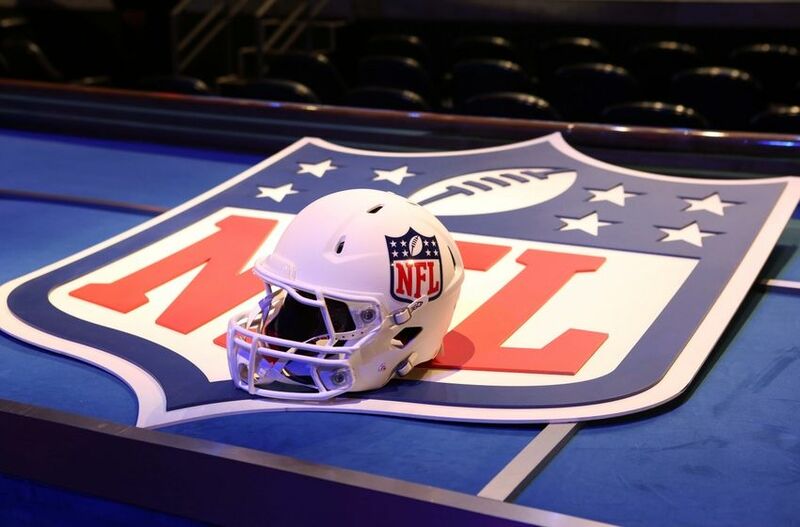 So, as you’ll see, there’s been some exciting changes so far and with the NFL Draft starting on 30th April, we’ll see some great signing for many teams. The excitement starts now. Liz has covered the NFL for five seasons, and currently serves as Managing Editor for Ninety-Nine Yards and for her own website, NFLGirlUK.com. Since launching the website in 2014, she has made regular appearances on the TalkSport2 ‘All American Sports Show’ with Nat Coombs and in 2016 was ranked No.37 (of 400+) in the “Super Bowl: Top 50 UK Influencers” by marketing software producers Analytica for “igniting conversations” between fans.